"I'm actually really worried about the future." My name is Keron and I'm in high school. I'm worried about the future because of all the issues facing me and the people I love. Our privacy, safety, and rights feel under attack. I'm too young to vote, so I'm asking you to promise to vote on my behalf for candidates who will bring about a better future. Thank you. 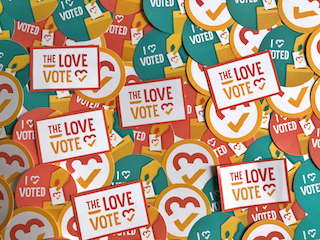 Show Keron love + inspire others + get voting info + get event invites + get stickers + create change!